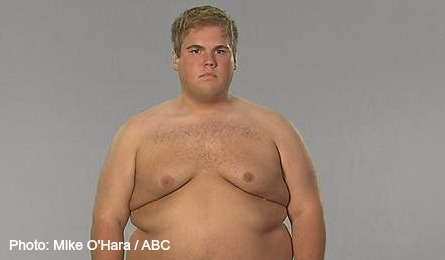 This week’s Extreme Weight Loss participants are a mother and son duo. They struggled with battling obesity while being trapped in a repetitive cycle of fast-food meals. Kathie and Josh have been dealing with losing a father and a husband when he left them 21 years ago. Kathie took the first step in seeking help when she wrote a letter to fitness trainer and host of the show Chris Powell. To make a completely successful weight loss transformation, the two were separated from each other and trained apart during their 365-day weight loss challenge. Josh’s father abandoned them when Josh was only nine months old. They have slowly eaten their way into obesity as a way of dealing with the absence of Kathie’s husband. Kathie, 52 years old, and Josh, 21 years old, are from Charlotte, NC. She is 5’2” and weighs 255 pounds, while Josh is 5’7” and weighs 345 pounds. After an unexpected and messy divorce rendered Kathie a single mom, she became depressed and didn’t date at all for the next 20 years. Food was her comfort. With Josh by her side, hurting from the absence of his father, whom he felt disconnected from even though they live in the same town, they both became dangerously overweight as Kathie continually consoled them both with food. With little money to spare, the fast food “dollar menu” became their daily go-to meal (in fact, they keep a giant box full of Happy Meal toys as a reminder of their bad habits). Now, Kathie harbors so much guilt over Josh’s childhood, she can’t bring herself to kick him out of the house. Josh, in turn, is so dependent on his mother that he won’t leave. Hoping to break this cycle, Kathie wrote a letter to Chris Powell, asking him to take them on as clients. 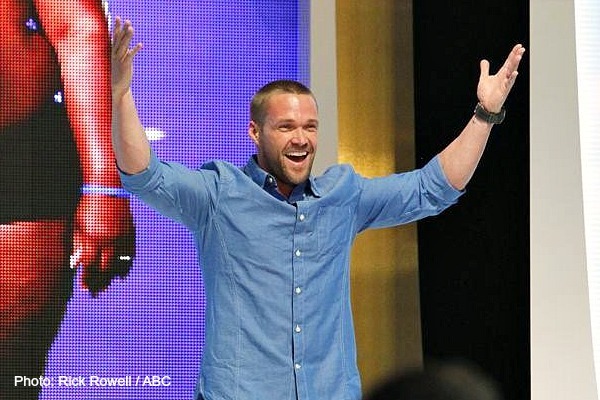 Chris chose to help them in a very surprising, public way: on national television. While in the audience at a taping of “The View,” Chris told Kathie and Josh they’d been chosen, and they joined Barbara Walters, Whoopi Goldberg, Sherri Shepherd and then co-host Elisabeth Hasselbeck on stage for a live weigh-in to begin their yearlong journey. Neither Kathie nor Josh knew what to expect when Chris recruited his wife, Heidi, to assist with their transformations, she insisted they focus not only on their health, but on their careers and personal lives as well. While Kathie welcomed a new man into her life, Josh struggled to move out and to do the most difficult thing he’s ever done: confront his absent father. Celebrity Chef Rocco Dispirito makes appearance again in this episode when he teaches Kathie and Josh how to quit their fast food eating habits and turn to healthier food choices. As viewers learned in the premiere episode, different from previous seasons, participant spend their first 90 days of loosing the weight training and re-learning their eating habits at the renowned University of Colorado’s Anschutz Health and Wellness Center (AHWC) in Aurora, CO.
Chris and Heidi, along with AHWC’s medical director Holly Wyatt, MD, associate professor of medicine at the University of Colorado, guide participants on their journeys to safely lose up to half their body weight, ultimately revealing an amazing metamorphosis. The Anschutz Health and Wellness Center offers some of the country’s most advanced research and science-based expertise, focusing on a comprehensive weight loss and weight loss management approach, including fitness, nutrition and wellness services. Charita and Ty transformations – Extreme Weight Loss season 4 premiere episode! READ Who Quit!